Are your gutters a little full? This isn’t just a maintenance issue: this could lead to damage to your home’s foundation. Gutter cleaning is one of those tasks that you may not get around to very easily. It’s not that you don’t know they need cleaning. It’s just that you have other landscaping cleanups to do. Even if you’re busy, it’s important that you clean your gutters, hire a cleaner, or install lower-maintenance gutters, because the water that spills over clogged gutters can damage your home’s foundation. 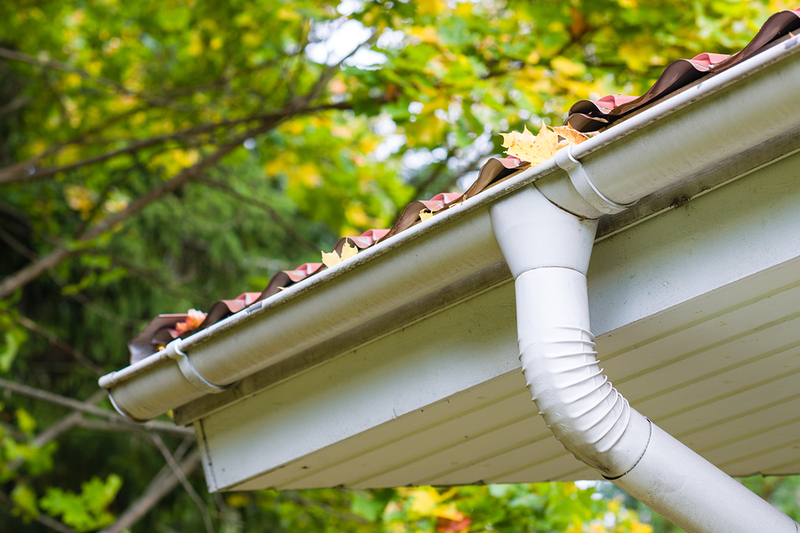 Gutters aren’t just there to make the bottom of your roof look good. A gutter’s job is to divert water. Gutters collect water from your roof and move in toward the ground, placing it into a drain or allowing it to flow out farther into the yard away from your house. Imagine what would happen if you didn’t have gutters. Water would cascade down your roof and land on the ground. The same thing happens when you have clogged gutters. Some or all of the water that was supposed to be diverted into a drain moves over the side of the gutter and down onto the ground instead. Old or new, a home must have a system in place to protect the foundation. What Happens When Gutters Can’t Do Their Job? When gutters can’t do their job, many problems can ensue. 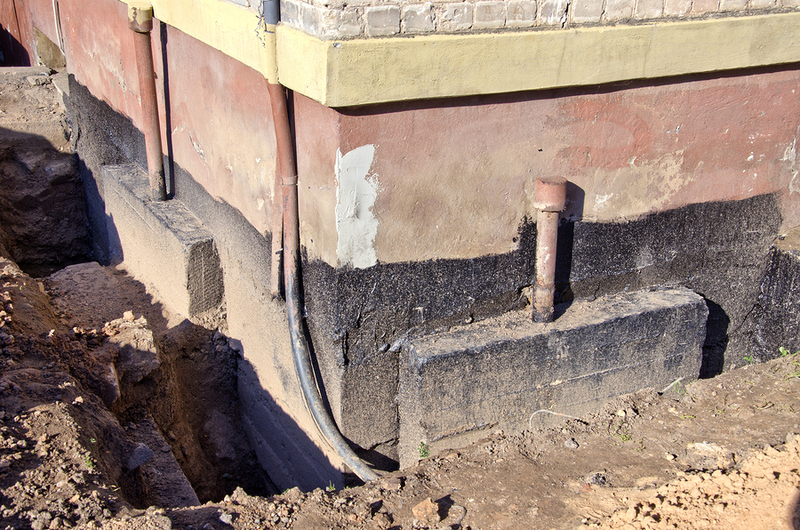 Home foundation concerns can arise when a lot of water falls near the base of the house. If the land doesn’t slope away from the house, water can pool around the foundation. This can lead to cracked foundations, as water moves into tiny cracks, freezes during the winter months, and proceeds to open up an even larger crack. Pooling water near the base of your home can cause a larger problem of shifting walls and foundation. A giant puddle of water presses against your walls, causing them to move and crack. You didn’t build your home in a movable mud puddle, so avoid creating one around the foundation of your home. Where, oh where has all of your soil gone? When that water finally evaporates or flows away from your home, it can take the soil with it. Your home has soil around it and under it. A settling foundation can cause uneven walls and floors and can also lead to cracks in the foundation. All of these cracks can lead to leaks, which, in turn, can lead to interior damage and additional cracking as water seeps into your home and expands. There are many solutions that can keep your gutters flowing clean and clear this year. You can remove sources of debris by planting trees far from your building. You can ensure that your gutters work with the rest of your roofing system by maintaining that roof. You can hire a company to clean your gutters or do so yourself. However, all of this is extra work, and you may not be interested in spending your time cleaning your gutters. When you install a gutter guard, you add a protective cover to your gutters. This cover moves water into the gutter and sheds debris so that your gutters will never clog again. From foundation troubles to landscape erosion, a cluttered gutter can cause innumerable problems in and around your home and garden. Make gutter cleaning easy this year. Learn more about Gutter Helmet and contact us to turn clogged gutters into an easy, low-maintenance drainage system for your home.